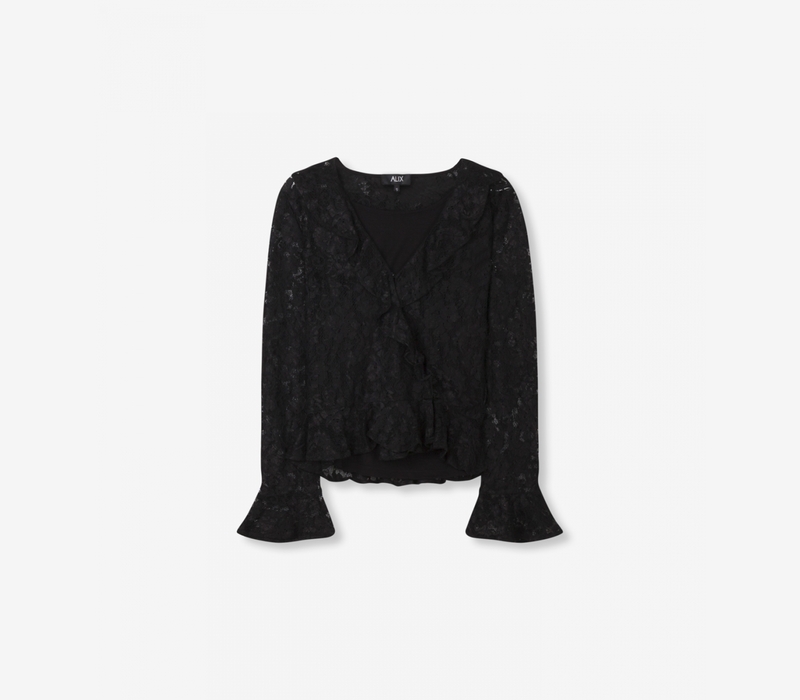 Daring wrap top in short length, with ruffles along neckline, bottom hem and at sleeve cuff. Cut from a refined soft stretch lace fabric. This top includes a removable jersey tonal singlet for coverage. Relaxed fitted wrap top in length well over the waist and elastic in back waistband. With long sleeves and wide cuffs. This top includes a removable jersey tonal singlet for coverage.